In this 2018 file photo, commuters crowd the MBTA Orange Line heading inbound. When it came to putting online critics in their place during Super Bowl 53, officials running the MBTA’s Twitter account pulled no punchlines. On Sunday night, after the New England Patriots secured yet another Vince Lombardi Trophy following their 13-3 win against the Los Angeles Rams, the football-related jokes about how commonplace it’s become for Boston fans to celebrate a sports victory started pouring in on social media. Included among the snarky commentary was a tweet from Steve Koczela, president of MassINC Polling Group, who chided the transit agency for its lackluster operations in comparison to the amphibious vehicles used during the championship parades through the city. “The Duck Boats run more frequently than the MBTA orange line,” Koczela said on Twitter late Sunday night. But the T was quick with its retort, responding to Koczela’s playful tweet as if it were a legitimate complaint about a late train arrival or delay, which is what the agency’s Twitter account is typically used for. “At which station have you been awaiting an OL train since 10/31/18?,” the T replied, referencing the October Duck Boat Parade held for the Red Sox, after the team won the 2018 World Series. For his part, Koczela took the reply in stride, giving the T credit for its creativity and quick wit. “Touché,” he wrote, adding a laughing emoji in his response. Those following the MBTA relished the rebuttal, giving the T applause. According to MBTA spokesman Joe Pesaturo, the tweets were sent by John Semerjian, a public information officer for the transit agency. 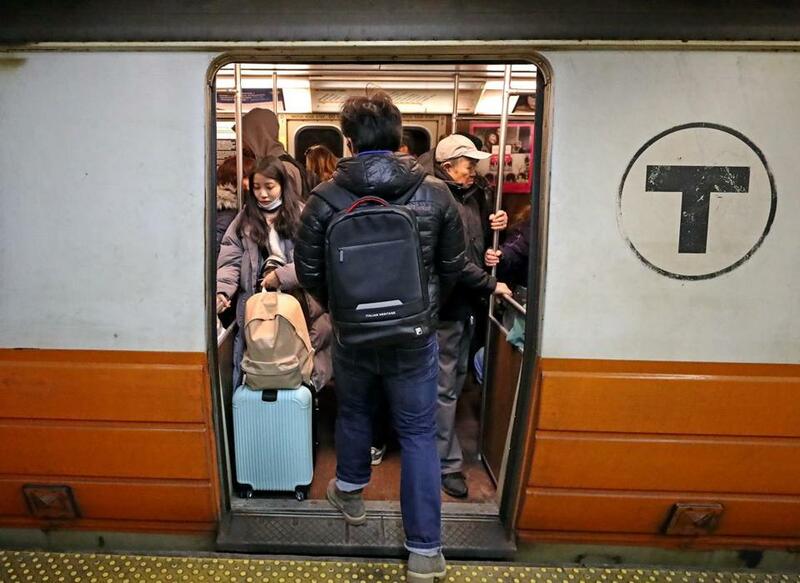 It wasn’t the first time over the weekend that officials behind the MBTA’s Twitter account sprang into action after someone made a disparaging comment about the city. On Friday, the Los Angeles Metro Rail system tweeted that the tires on the system’s buses would be fully-inflated for riders out celebrating the Rams’s Super Bowl appearance. The dig, an apparent reference to the 2015 “Deflategate” controversy, was later shut down by the MBTA on Sunday night. “Your buses would run low too, if they were carrying six Lombardi trophies,” T officials replied.